Clone Records becomes once again the center of the electro-loving world and drops the third instalment in the “Journey Of The Deep Sea Dweller” series. 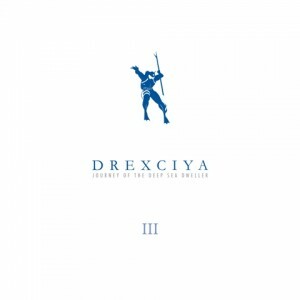 For long, the seminal Detroit electro act Drexciya hasn’t needed any introduction and the upcoming package features again a number of excellent tracks signed by the master of underwater sonic journeys. Eerie intro “Smokey’s Illegitimate Report” from the “The Return of Drexciya” is a perfectly fitting opener for the release containing of mix of harder floor-oriented and dreamy tracks from Drexciya’s extensive back catalog. Covering both the rougher side, represented by “The Countdown Has Begun” or “Nautilius”, as well as the glimmering face of electro (“Sneasnake”, “Aqua Worm Hole”), it’s an awesome selection, check it yourself here.